A few weeks ago I mentioned that our two year old toddler had been having difficulties walking. Rather, she had pretty weak ankles since starting to walk at 14 months and it continued to not only be an issue when she walked, but ran as well. We noticed as she grew her feet also were pointed in as opposed to being straight out. Lily also has wide, flat feet which may be one of the reasons her ankles were weak. I took her to an orthopedic specialist 3 weeks ago, who measured her feet, observed her walking and running and took notes on what he thought would be best for her. Since she is pretty young, we're hoping that her new ankle braces will help to strengthen her ankles and also correct her pigeon toed feet. 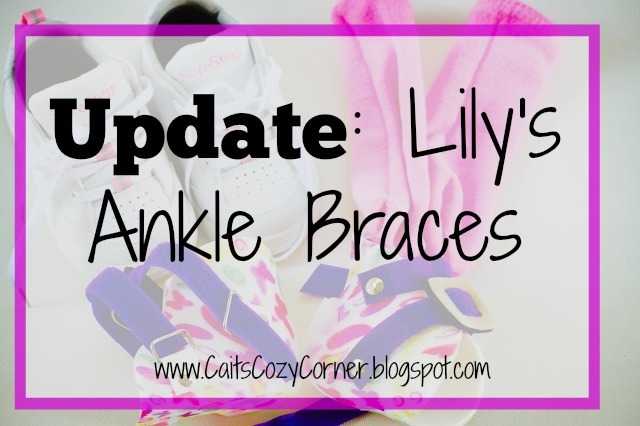 Lily's ankle braces are what's called a Bilateral SMO. SMO is the acronym for Supra-Malleolar Orthosis. The SMO, gets its name for the part of the body for which is encompasses. This orthosis helps to support her leg just above her anklebone or the malleoli. It's considered the shortest of the Ankle Foot Orthoses or AFO. 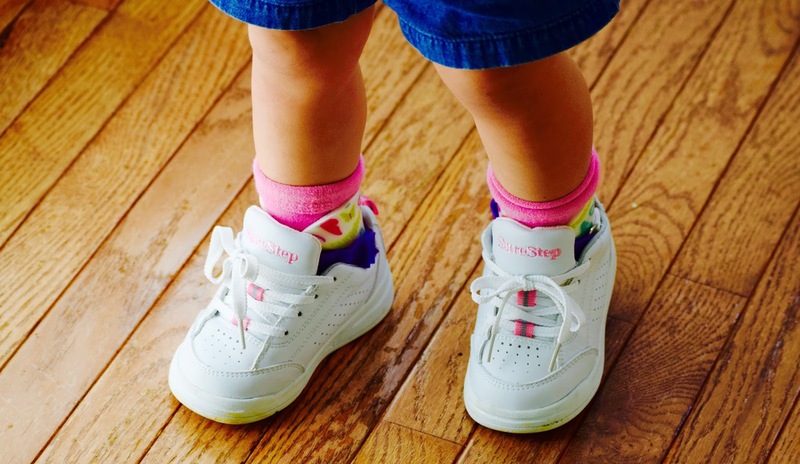 For Lily, she has it because she has very soft, flexible and flat feet due to the width of her foot. This SMO is designed to help maintain her vertical heel while also supporting the three arches of her foot and improve her walking and balance. #Winning! When I brought Lily in to get her fitting for her SMO's she was actually really excited. 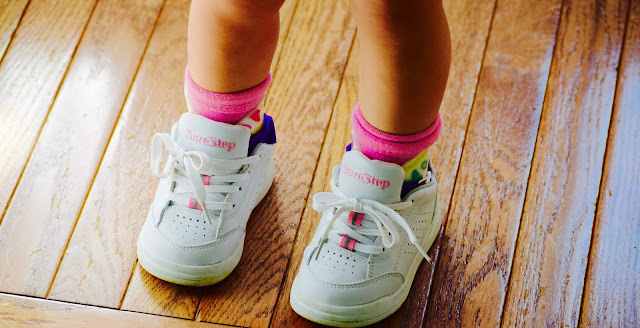 She has a love for shoes already at the age of two and a half and seeing her adorable butterfly braces got her ready to show them off. Of course wearing them felt funny to her and as of right now, she's only wearing them about an hour for the first day, 2 hours for the next and we'll slowly increase each hour per day until she's fully comfortable with them on. She actually wore them a full day at school yesterday and did great so we're praying that the trend continues! As always, thank you all for your e-mails, tweets, messages and so on about your concern/love for our little girl. You guys always know how to keep this Mom happy and focused on what being a parent truly means; doing the best we can. Wish us luck as we try this new adventure! GOOD LUCK! My niece who is now 14 was pigeon toed when she was younger and needed braces got them but sadly her mother never kept them on her because she would cry. They were a lot different than what they are today. Needless to say at age 14 she is still pigeon toed. Hope you have nothing but success! Hope she continues to improve! Although I'm sure she didn't love them at first, they are very cute and I'd just focus on up-playing that with her. I had to do the same thing with my son's glasses (he's had them since he was 2 1/2). You're a great momma! Great news! I hope she continues to improve!!! I'm sure she will get used to them! Will be thinking about you guys and sending positive vibes your way! Aww honey!!! I didn't know any of this!!! Praying for healing!!! Those braces and shoes look PRECIOUS on her though!